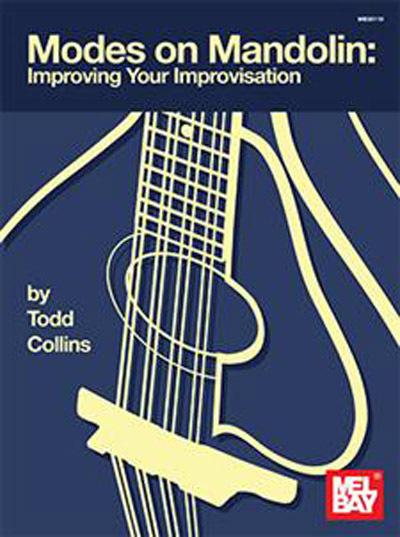 Modes on the Mandolin: Improve Your Improvisation is a collection of exercises for the mandolin student to work through to better understand the fretboard and expand their musicality. The collection includes scales, modes, arpeggios, patterns, intervalic and rhythmic exercises, and progressions. It will serve as a valuable resource and a supplement to, but not a substitute for, a good teacher. You do not need to follow the chapters in order, as all of them will help you play and improvise over progressions. The exercises are tools to help you build muscle memory and musical ideas anywhere on the fretboard. Connect the physical with the theoretical. There are examples of common tune chord progressions with ideas applied to them. By creating your own musical ideas over the same progressions, you will find that the practical information given (exercises) turns into functional use (playing and improvising). Once you gain a better understanding of the fretboard, you will notice more fluidity and creativity in your playing. Keys – Circle of 5ths.